We are excited to announce that TPS Lab’s senior consultant, Noel Garcia, CCA, will be a panelist at the 6th Annual NoCo Hemp Expo in Denver, Colorado on March 29-30, 2019 at the Crowne Plaza Hotel, Denver Airport Convention Center. 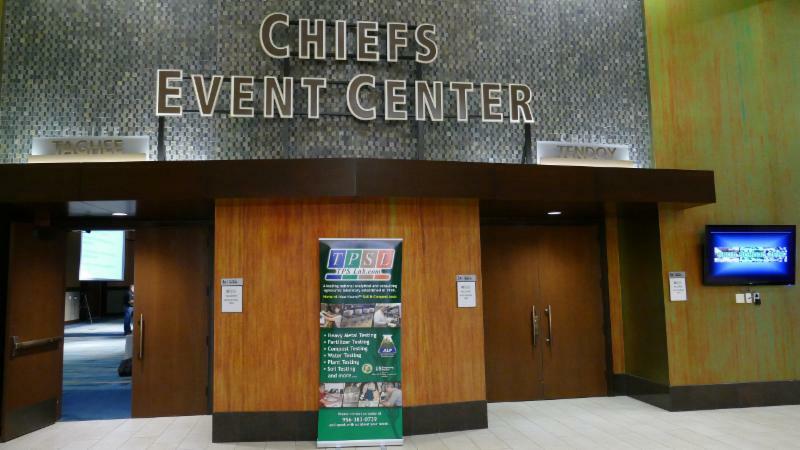 This event is the most comprehensive hemp exposition and trade show for hemp professionals all under one roof. Make sure and join us and listen to Noel Garcia on Saturday March 30, 2019 at 10:30 am. Chemical, physical and biological aspects are important for salt management and turfgrass health. Plant Stress and Proline – Avoiding Crop Performance Loss by Larry Zibilske Ph.D.
How Much Area Can a Soil Sample Cover? It is of upmost importance that the soil sample be representative of the entire field. A two-day workshop for growers, field consultants and fertilizer suppliers. 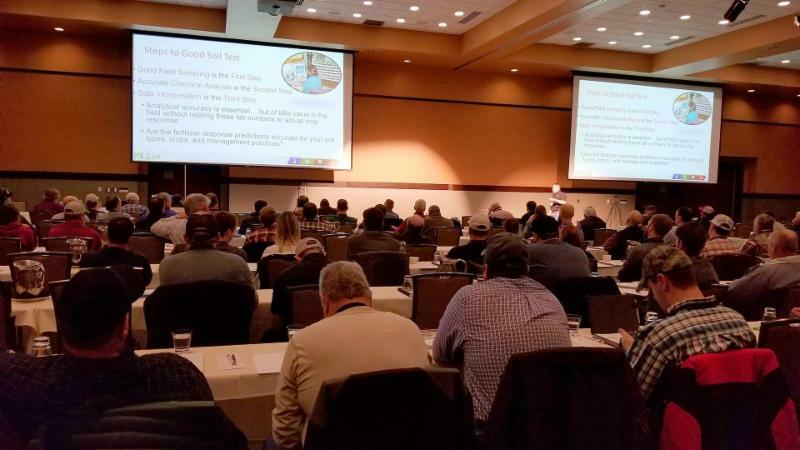 TPS Lab officials presented the event to offer new approaches to season-long proactive crop fertilization management for better yield and quality a lower cost. "I am going to rethink my fertilizer program." "I liked your innovative approach to plant nutrition. You are better able to quantify and define relationships that I believed existed, but current methods of analysis couldn't or can't quantify." "I will pay closer attention to trace minerals." 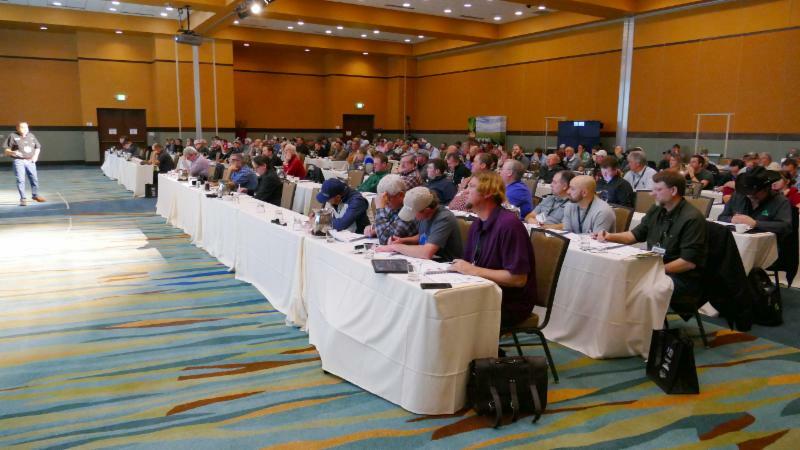 "[I] would like to consider TPS[L] coming to our grower meeting." "Opportunity to connect with many great minds." "Good format, good content, excellent presenters. Good foundation material and production information." 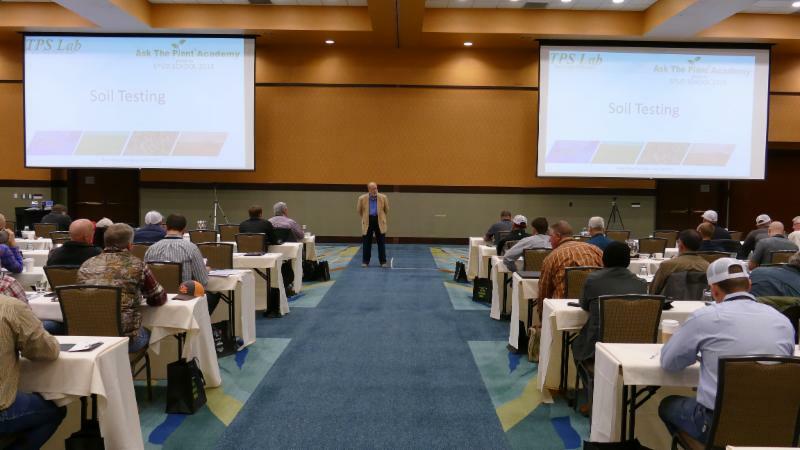 "Networking and hearing grower experiences." "I liked the grower panel." "Well worth my time. I learned some things that I will definitely incorporate into my management decisions."